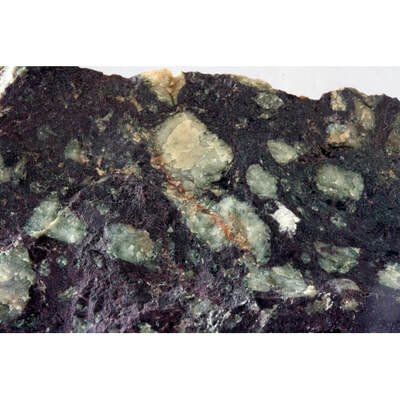 ​The feldspar group includes the microcline, orthoclase and plagioclase feldspars. The Feldspar Group belongs to the Silicate Class of minerals. They commonly occur as prismatic crystals in aggregate groups. Some of the stones exhibit the characteristics of adularescence (a certain type of white or bluish light seen in a gemstone as it is turned), such as moonstone or labradorescence which is a brilliant display of colours when held up to a light source) as in labradorite. ​Most members of the feldspar group are translucent to semi-opaque and colours can be grey, pink white yellow on in the case of amazonite an aqua blue to green. ​Feldspar eases menstruation and urges you to participate in conscious contraception. 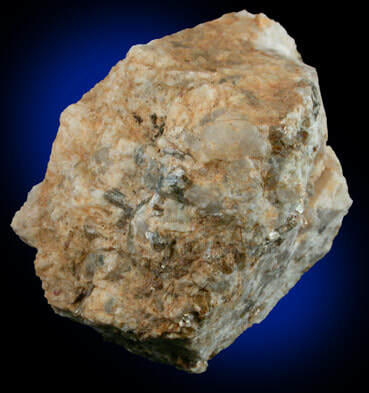 ​Feldspar increases your self respect, self esteem and and self awareness. ​ It helps you in honouring yourself as a woman, honouring your sexuality and ability to create new life. This stone will help you, if you have the habit of continually selecting the wrong partner by helping you acknowledge that you are valued as yourself not as an extension of someone else. 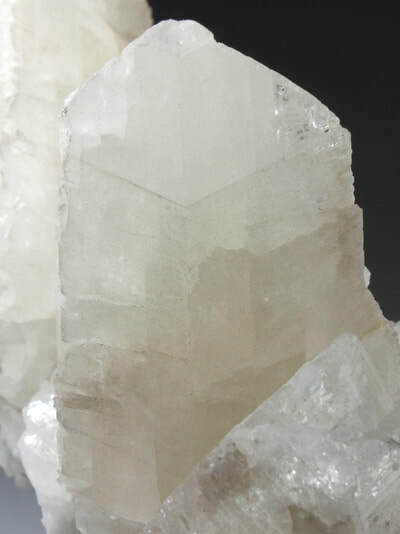 ​​​​The mineral feldspar provides you with feminine, moon and Goddess energy. Adularia is the trade name for a colourless to pale grey variety of Orthoclase. Moonstone and Sanidine are the other members of Orthoclase Feldspar. 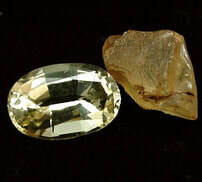 Orthoclase is a Potassium, Aluminium Silicate belonging to the Feldspar Group. Adularia aids in calming anxiety, panic attacks and all nerve related problems. It will help with skin and stomach ulcers, oedema. 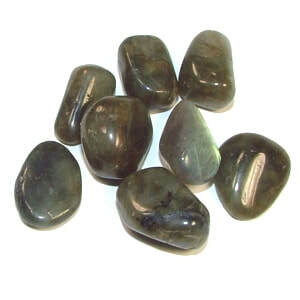 ​Adularia is a visionary stone it helps you see all possibilities in a situation. It will help you at work when you are planning goals and then begin the tasks needed. ​Albite is a sodium, aluminium silicate which belongs to the Feldspar Group. It forms as block, tabular and platy crystals and can appear as striations within other crystals. The colour of Albite is usually pure white but can be shades of blue, yellow, orange and brown. The crystals are translucent to opaque. it is generally associated with other crystals as a specimen. 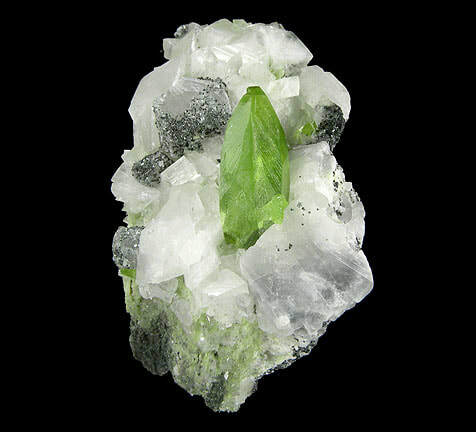 Albite encourages communication and positive exchanges of energy. It relieves stress and depression and can be used as a booster for the immune and respiratory system, as well as the spleen. Amazonite is actually called Microcline and is a Potassium, Aluminium Silicate. 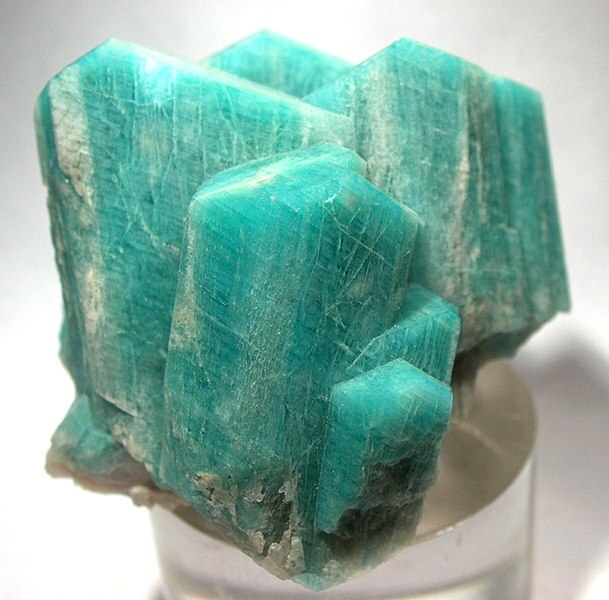 Amazonite and Perthite are the common names for this mineral. Amazonite is a a blue green to green gem quality stone, while the Perthite variety is most commonly brown but can be green and has cream to white small stripes. 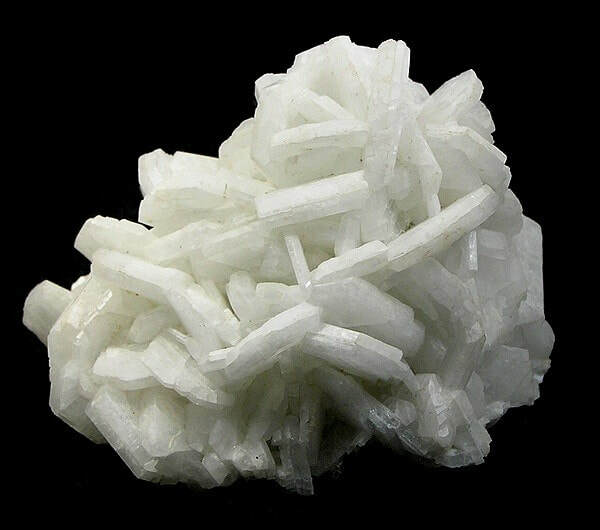 Andesine is a Sodium, Calcium, Aluminium Silicate belonging to the Feldspar Group of minerals. Andesine occurs naturally as a translucent to transparent white to grey crystal. Gem quality stones are created through heat treatment, where the stone goes from its original colour to a range of colours from champagne to a deep red. Andesine is a protective stone, it will help you stay away from harm. It will enhance insight and assist communication with the divine. It aids inner vision. Andesine is used to calm anger and stress. It encourages fearlessness in the face of life's challenges. Andesine brings to light negative emotions and strengthens mental rejuvenation. It assists in enhancing love, passion and romance in relationships. Bytownite is a Calcium, Sodium, Aluminium Silicate belonging to the Feldspar Group of minerals. Bytownite occurs as white, grey, gold, brown and colourless stones. The stones are translucent to opaque. Bytownite is relatively rare but does occur in Canada, Scotland and South Africa. Trade names for this stone are Golden Labradorite and Golden Sunstone. Bytownite aids you in continuing and maintaining close personal relationships. This stone helps with your divination and dowsing. 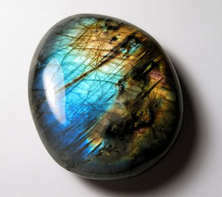 Labradorite is a Calcium, Sodium, Aluminium Silicate. The stone is a dull to vitreous, grey to smoky black. Labradorite forms in a host igneous rock. Labradorite has a colourful schiller effect glowing on the surface when light is refracted throughout the layers of the crystal. The colours of this effect range from blues and violets through greens, yellows and oranges. Some rare specimens show all these colours simultaneously. The crystal was named after the peninsula of Labrador in Canada where it was first discovered. Labradorite is also found in other parts of Canada and in the Scandinavian Peninsula. 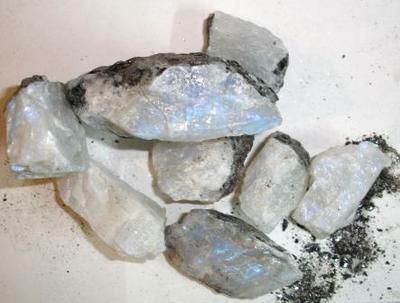 ​Moonstone is a Sodium, Calcium, Aluminium Silicate. 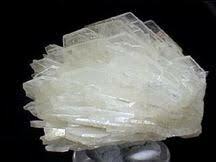 Its registered name is Oligoclase Feldspar. There are now three official common name crystals that belong to this mineral. Moonstone, Sunstone and Oregon Sunstone. Structurally the three stones are the same their main chemical content is the same but what makes them different crystals is that Moonstone shows a glowing shimmer that is produced from lamellar inter growths inside the crystal and when the light hits them the growths refract causing a rainbow effect in the translucent pearl like stone. Oregon Sunstone is a Sodium, Calcium, Aluminium Silicate. 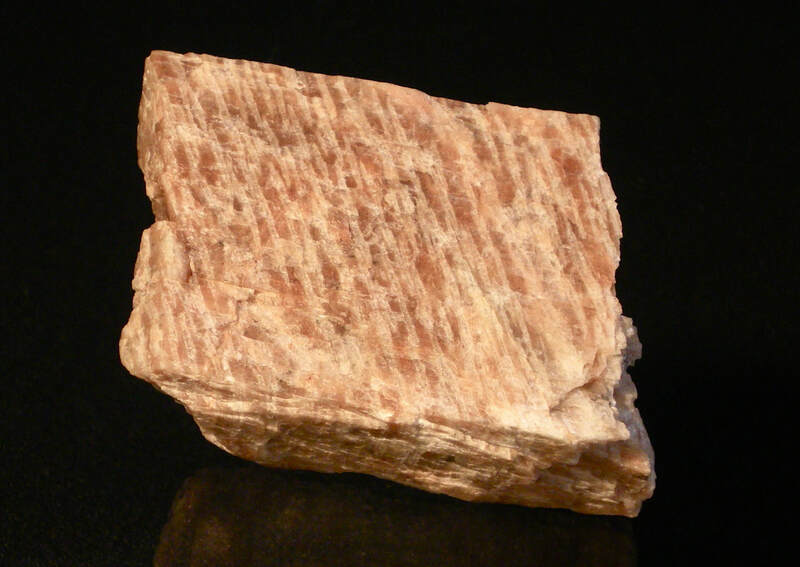 Its registered name is Oligoclase Feldspar. There are now three official common name crystals that belong to this mineral. Moonstone, Sunstone and Oregon Sunstone. Structurally the three stones are the same their main chemical content is the same but what makes them different crystals is that Oregon Sunstone which has a shiller effect similar to labradorite. This stone is clear to translucent and can be cut and faceted unlike moonstone and sunstone. 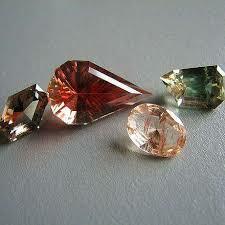 Oregon Sunstone has threads, spots, sheets or cloud inclusions of copper which is what gives it its distinctive sparkle. It occurs as yellow, red, blue/green, orange and violet stones. The international Gem Society has recognised this stone as an entity of its own and although closely related to sunstone can only be found at two mines in Oregon USA. 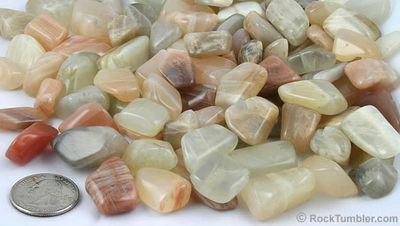 Oregon Sunstone aids you in lifting your negative thought patterns. It assists is an anti-depressant. Oregon Sunstone will help you erase sad memories from your past so they don't carry into your present and future. It will increase your feelings of self-worth. Oregon Sunstone will help you understand that to fail at something doesn't mean that you are a failure. 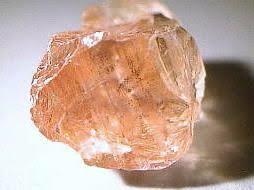 ​Sunstone is a Sodium, Calcium, Aluminium Silicate. Its registered name is Oligoclase Feldspar. There are now three official common name crystals that belong to this mineral. Moonstone, Sunstone and Oregon Sunstone. Structurally the three stones are the same their main chemical content is the same but what makes them different crystals is that Sunstone has red, more rarely green or blue glitter within the stone, which is caused by light reflections from tiny hematite or goethite platelets. 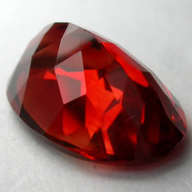 Sunstone is a stone that instils a joy for life and heightens intuition. If life has left you flat and just not interested, this stone will lift your spirits and help you nurture yourself. It clears all the chakras and brings light and energy to you. Sunstone lets the real you out of hiding and shine no matter what others think. It is linked to good fortune, luck and benevolent gods. It is an alchemists stone that brings out a profound connection to light and the regenerative power of the sun. Sunstone removes unwanted emotional, mental ties that you currently have to possessive parents, children, partners or lovers. It removes the hooks that energy vampires latch onto you. These are the people who come near you and suddenly your very tired or impatient to get away from them. Sunstone will teach you how to say no and really mean what you say. It gives you independence, vitality and self empowerment. If you too often say "I will get round to it", you need sunstone to get motivated. 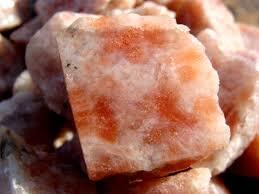 Sunstone acts as an antidepressant and lifts dark moods. It is particularly good for seasonal affective disorder (the short days of winter make you depressed), by lightening the darkness of winter. It will ease the feelings of being disadvantaged and abandoned. Sunstone removes feelings of failure and increases self worth. It encourages confidence, optimism and enthusiasm. 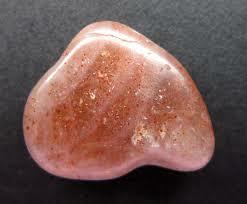 If placed on the solar plexus chakra sunstone will lift the spirits of even the worst pessimist that you know. Sunstone treats sore throats, relieves stomach ulcers, lifts depression, cartilage problems, rheumatism and general aches and pains.